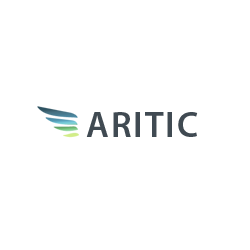 Aritic Mail, developed exclusively for transactional email purpose, is an email delivery platform for applications and enterprises, allowing users to process real-time transactional emails in an easy, reliable, and secure way. It supports Web API and traditional SMTP methods and consists of robust API and ready-to-use plugins to ensure easy integration with any programming language. In this article, we cover its pricing info. Ready to try Aritic Mail? Request a demo. As of the date this article was written (11/14/2018), there are no up-to-date Aritic Mail reviews online. If you are a past or current Aritic Mail customer, leave a review to help other business owners who are deciding whether or not to use this product. Aritic Mail is priced at $9 for a package of 10,000 transactional emails. If you are a high-volume user and need to send out more than 10,000 emails, you may contact their sales team for a customized pricing quotation. The $9 package includes unlimited usage validity, high-speed inbox delivery, full REST/API and SMTP access, onboarding support, access to the developer resource portal, multiple webhooks, SPAM protection, real-time reporting, transactional templates, and more. Meanwhile, the High Volume package comes with a dedicated account manager and IP pools, cluster systems, peer-to-peer connectivity and network restriction, customer security compliance fulfillment, a high bandwidth of up to 1Gbps, and more. Ready to get started with Aritic Mail? Request a demo. 6 Best Email Marketing Software for 2018 — Email marketing software is used to create and send targeted email campaigns to a business owner’s customers. In this guide, we compared the best email marketing software and identified the top six in terms of price, list capabilities and segmentation, ease of use, analytics and reporting features, the availability of third-party integrations, and more. All Language support – Integration available with any programming language be it C, C++, Java, Php, Ruby, etc. What are the common uses for Aritic Mail? Aritic Mail is commonly used for eCommerce platforms, CRM software, and other applications that require communicating with clients through email. Examples of such are shopping cart receipts, welcome messages, invoice notifications, payment confirmations, shipment tracking, password reminders, and registration notifications. Does Aritic Mail offer a multi-user capability? Yes. However, the multi-user option is available only to users subscribed to a High Volume plan. Not sure if Aritic Mail is the right fit for you? Read our reviews of all top email marketing software providers or check out one of these three Aritic Mail competitors.